This level has hard difficulty and you need to use good technique to complete this level. For this level you should try to play from bottom as much as you can and break the grills. 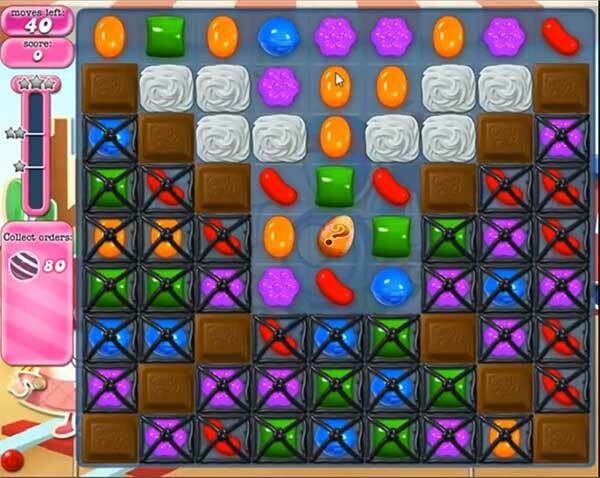 Try to make colorbomb with striped candy combo to break more striped candy and break always the chocolate as it could waste the move. Try to make remaining striped candy to complete this level.